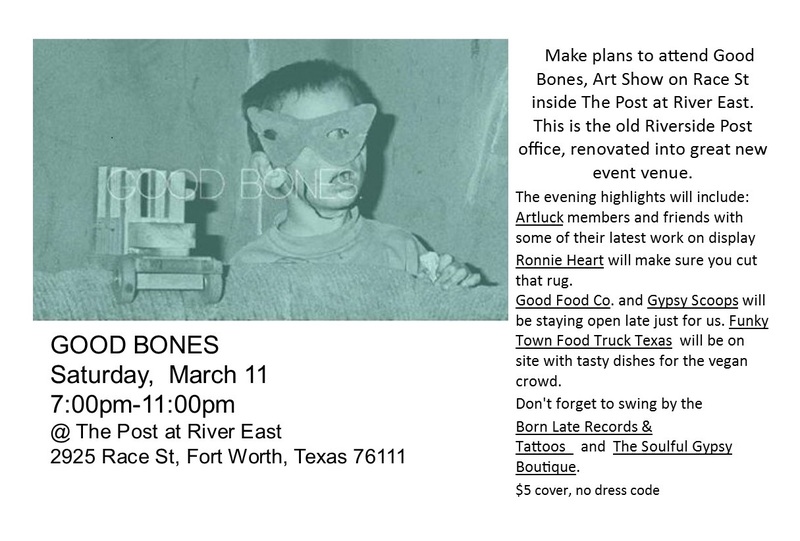 Oakhurst Neighborhood Association, Fort Worth, Texas: 3/11: "Good Bones"
Neighbors, make plans to attend Good Bones Art Show on Race Street inside The Post at River East. This is the old Riverside Post Office, now renovated into a great new event venue. Don't forget to swing by Born Late Records & Tattoos and The Soulful Gypsy Boutique. $5 cover charge; no dress code. Check Out the March Oak Leaflet...Now Online!